There is an old Chinese saying that goes something like this ‘Know yourself, know the competition, and get it right almost every time’. The good news is that social media has brought with it many opportunities to anticipate competitors’ likely moves. This post discusses a few. The first step in competitive analysis is to define the competition. This definition needs to go beyond existing competitors selling the same type of solution – for instance, other companies selling game consoles. The analysis also needs to include other companies that might enter the marketplace, as well as substitute products – that is, products that have different features from yours, but that address the same need from the point of view of the customer (e.g., entertainment). Then, we also need to take into account wider forces driving change in the industry, from the supplier side (e.g., new production methods) as well as the demand side (e.g., change in consumption patterns). These various strands are captured in one of the most popular models in Strategy, Porter’s Five Forces. Bringing this information together allows us to assess whether the competitor is satisfied with its current position, the likely moves it is likely to take and where it is most vulnerable (e.g., access to cash or heavy dependency on one supplier). Authors in competitive intelligence often compare this analysis to a war game, where the battlefield is the marketplace. 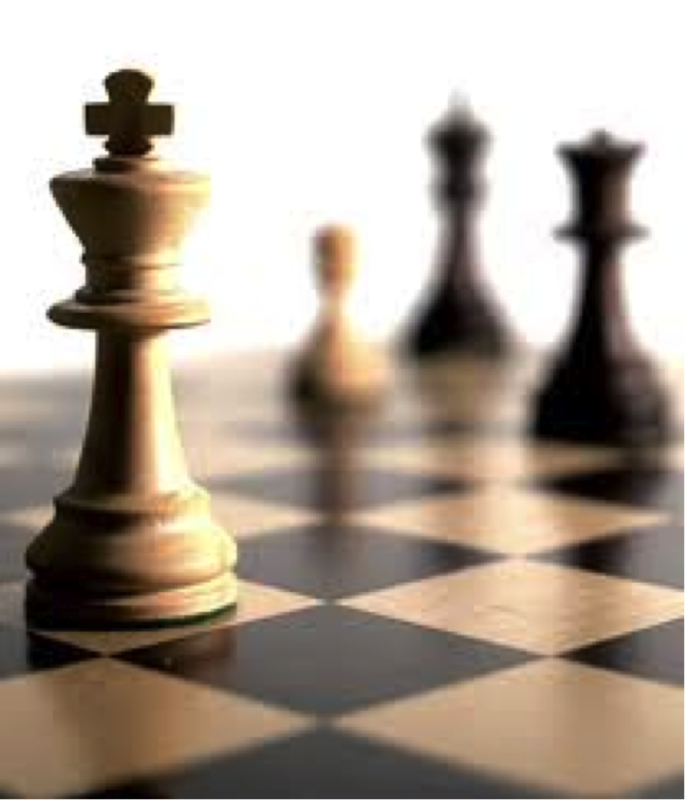 I prefer the analogy to chess game… but, then, historians say that chess used to be used to teach noblemen about war strategy. How can social media be used in competitor profiling? There are many simple and perfectly legal ways to develop competitive intelligence using social media. Here are a few. LinkedIn – One of the main giveaways of a company’ change in strategy is the building up of new skills. With so many professionals on LinkedIn is relatively easy to spot how talent is moving. Then, looking at the background of the new recruits vs. the company’s activities, we can infer their likely moves. For instance, the launch of ‘Storyboard’ on blog hosting platform ‘tumblr’ last May 2012, came as no surprise to those who had been following the company on LinkedIn and noticed that they had been hiring people with editorial skills. TripIt, Foursquare and geo-tagged posts (e.g., Instagram pictures) – While many conversations can be done electronically, there is still the need for face-to-face contact in business, particularly at critical stages of the business relationship. If you notice key staff travelling to a new location, or increasing the number of visits to a particular place, that is a good sign that something important is brewing. Employees’ online presence – Many professionals have personal social media accounts, or blog on a personal basis. They may inadvertently give out clues about projects that they are working on (e.g., by commenting on a workshop that they are attending), issues that are attracting their attention (e.g., by sharing podcasts on a topic) or intensifying work patterns (e.g., leading on to less time available for a hobby that the employee blogs about). Suppliers online presence – Some companies are so delighted with a new deal that they loose no time advertising it in their websites, blogs or social network accounts. Even if they use generalist descriptions such as ‘leading company in x sector’ as opposed to naming the organization, we can often put two and two together and find out who is working with whom (particular, if you have been following key employees’ travelling patterns and online presence as discussed above). Company’s communications – Companies are very keen to communicate with their customers, and let them know of exciting directions – particularly in the case of industries or customer groups that value innovation. The issue is that once the information is public for loyal customers – e.g., on company websites or CEO’s blogs – it is public for curious competitors, too. Behavioural data – There is a wealth of information online about the competitors’ marketing actions. For instance, looking at how prices have changed over time (if advertised on the website or on press releases) we can get a glimpse at the company’s pricing strategy (e.g., how it links with the stage of the product life cycle) and their competitive strategy (e.g. in which territories they engage in aggressive discounting). Also, monitoring the movement of oil tankers and haulage can alert to changes in market dynamics. ‘…Know yourself, not know the competition, and get it right about half the time; Not know yourself and not know the competition, and get it wrong almost every time’ => so start by tidying up your own online presence and think about what valuable information you might be giving away to competition. Any thoughts and further suggestions? Posted on January 18, 2013 January 18, 2013 by anacanhotoPosted in UncategorizedTagged business, Competition, Competitive Intelligence, marketing, Social Media. Very interesting post Ana. It shows the need for top management to really understand how personal behavior on social media can impact business. And how all these nice tools work. This is one reason I sometimes either not share, share old photos on Instagram, schedule blog posts, have some sort of ‘editorial guidelines’ on what I share on Twitter so that it is relatively constant, and mostly don’t geo-tag or check-in on foursquare when the trip is sensitive. Even then, a drop in activity can be noticed. Hmm, would almost say there’s a business in organising courses for managers. Social media counter intelligence. Ah! I am all theory and no practice, you see 🙂 Though, by default, I do not geo-tag my pictures or posts. But, yes, I did notice your absence from Twitter (and the blog!) recently. It is great to have you back. Thank you for these additions. I like the one about ‘technology watch’ – certainly a strong suggestion about future developments! Someone mentioned on Twitter that social media is great for due diligence, too (maybe the same idea behind your M&A addition?). Sharp thoughts on social media marketing! myself love to spend time on thinking and questioning some human behaviors tight with what’s HOT today. recently, i am thinking why Pinterest could attract broad users. i come up with few ideal to share, lovely to hear from you and give me some comments. i recognize that Instagram is a image-share vision of facebook, however Pinterest is not. there is more self express with Pinterest. people is not share what they do today, a pretty picture of oneself. they are telling other people how valuable the image i found, and to indirectly saying who i am, how great my taste is. those are some of my thoughts, i hope you hear from you. I’m doing a thesis on this topic. Can you please tell me some book where find some materials? There is some literature about it?